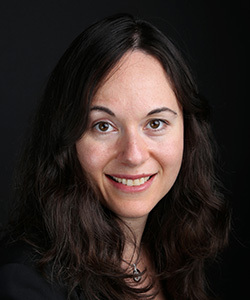 Dr. Simone Vigod is a Psychiatrist, Scientist and Lead of the Reproductive Life Stages Program at Women’s College Hospital in Toronto, Ontario. She is an Assistant Professor in the Department of Psychiatry at the University of Toronto (UofT), and an Adjunct Scientist at the Institute for Clinical Evaluative Sciences (ICES). She obtained her medical degree from UofT (2003), and completed her residency in psychiatry in Toronto (2009). Having obtained a masters degree in clinical epidemiology (2011), Dr. Vigod has built a successful research program focusing on epidemiology and treatment of women with mental health issues across the lifespan.